Do you run a site with multiple tenants or look after a number of facilities? Our extensive experience in waste management, combined with the most extensive resources in London (such as staff, trucks and disposal sites), allow us to tailor a waste collection solution to suit your needs. We operate collection agreements in partnership with your organisation and ‘going the extra mile for you’ is what we do best. We have experience working with all kinds of businesses, including large Facilities Management companies with several sites. We provide a comprehensive waste management service, collecting multiple waste streams including recycling streams such as food waste, glass and dry mixed recyclables. We also have specialist collection services such as hazardous/clinical waste and confidential waste. We report on everything collected from each location by weight and waste type so that you can present that information to your end clients. In all scenarios, it's inevitable that some waste will be generated. This is why it's essential that you have a waste operator who provides cost-effective and reliable general waste collections and doesn't send anything to a landfill. We offer a range of high-quality recycling services that can be tailored to suit your business' needs. These include segregated recycling services for glass, paper/card and food. We also offer a mixed recycling service where you don't need to separate different recycling types. As a site operator, it may be your responsibility to dispose of any items such as furniture, electrical equipment and other large items that don't fit in your regular collection. We can collect all of these items through our bulky waste service. We offer ad hoc pest control services and annual service contracts for residents and businesses. Our services are competitively priced and high quality. Our officers will work with you to offer professional advice and support on how to swiftly resolve and prevent pest infestations. We offer a single contract that will cover multiple sites and waste types. We give our clients one person who will help with day to day operations and reporting. We always have a service available to help our client. We schedule our collection times around our clients. We will ensure you always comply with all waste management legislation and requirements. We can provide you with information and overviews of performance. We work alongside our clients on an ongoing basis. We will work with our customers to achieve corporate goals. 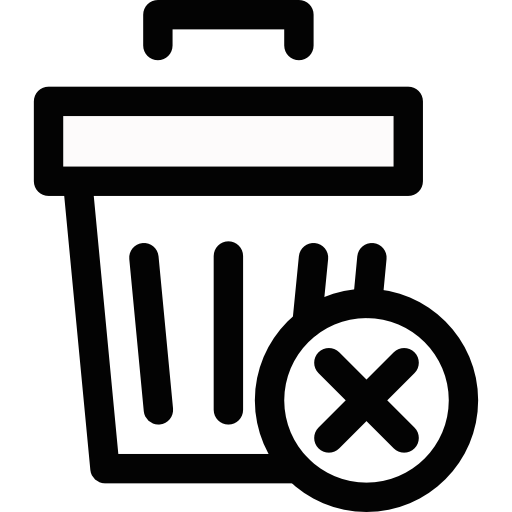 As we are a local authority, we are exempt from charging VAT on commercial waste collections. This will help your cash flow in comparison to using a private operator who will be required to charge VAT. None of the general waste that we collect is sent to landfill. Unlike other waste operators, however, we go the extra mile. Our general waste is used to provide district heating for London homes and businesses and any residue left over is used in building projects. Talk to our waste management experts; they have decades of experience in helping your business achieve an environmentally friendly waste disposal service. Our experts can provide you with valuable insights into how you can improve your current waste management practices, or offer you advice on services that may enhance what you currently have in place. If you are a facilities manager or site operator, then this guide to waste management is a must read for you. 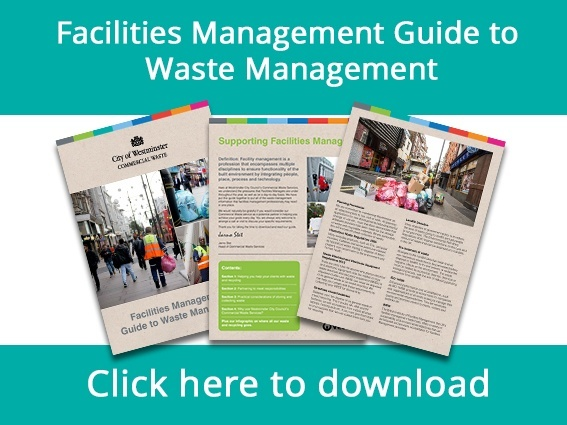 It’s an in-depth guide covering everything you need to know about waste and recycling for facilities managers in Westminster. Section 4: Why use Westminster City Council’s Commercial Waste Services? Download the guide now to find out how you can improve your current waste management practices. The guide also covers regularly forgotten aspects of waste management, including business’ duty of care towards the environment and the support that the operator can provide. At Westminster City Council Commercial Waste Services, we have a huge range of bins from which you can choose. 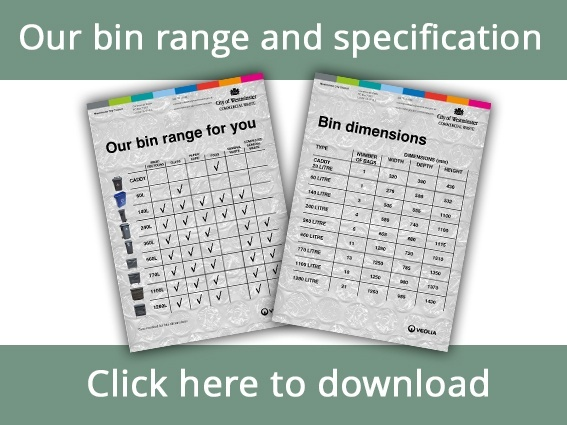 It may be particularly useful as a facility manager or site operator to be able to choose from a variety of different bins to suit your exact needs. The bins range in size but also in what materials can be put inside of them. The capacities range from 140L to 1280L, so there will always be a bin available for your requirement. Reconomy’s guide to assessing the effectiveness of a waste management supplier for facilities managers. 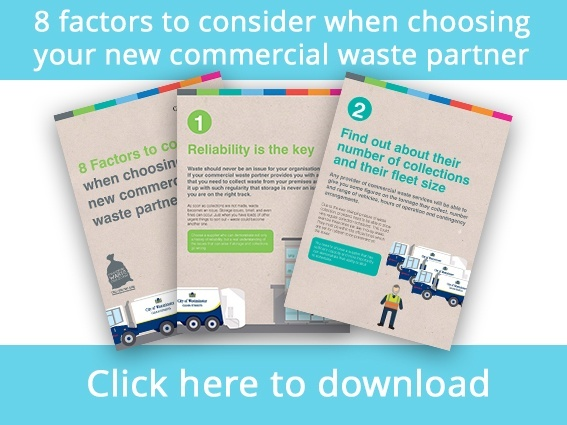 This facilities manager waste guide helps you assess the effectiveness of your current waste operator and guides you in selecting the best possible waste operator for your needs. In this article, Building Talk Online highlight some key tips for facilities managers to improve their waste management practices. Find out more about how you can enhance the waste and recycling practices you currently have in place. We provide waste management services to the whole of the City of Westminster, see if your store is within our radius below.